Earlier this year we were the official bike hire for the Paris Roubaix Challenge. 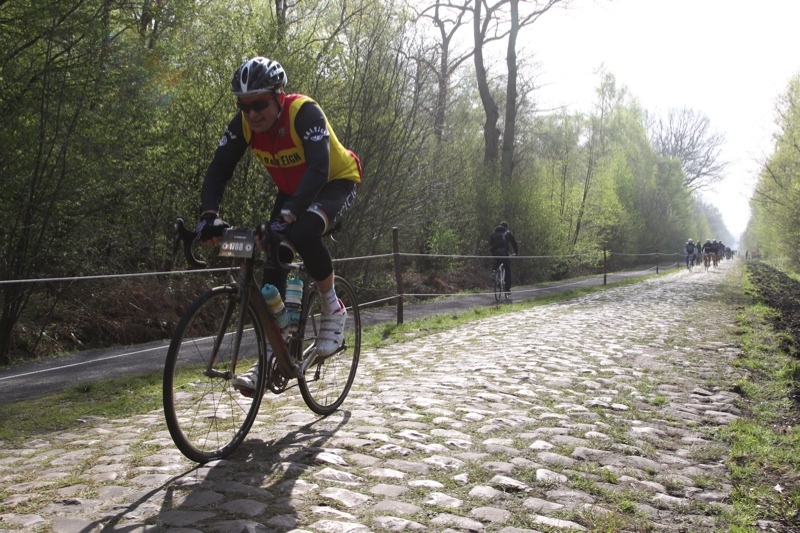 Here is a snapshot of Mark heading over the cobbles that characterise L’Enfer du Nord or “The Hell of the North”. No bikes were harmed during the sportive!